Q. You made a comeback with your new album “Puberty.” How do you feel? 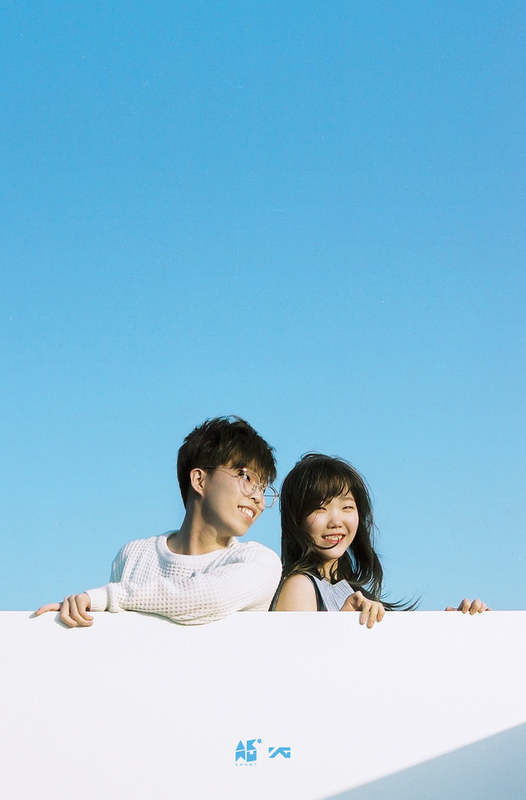 Chanhyuk: We released the album after a 2-year hiatus, and we've worked really hard for the album. We modified our songs again and again to make a perfect album. I think we've grown up through the whole process and our music has become more diverse. Q. What kinds of efforts did you go through to make better album? Chanhyuk: When we released our first album 2 years ago, someone said that our songs are about the same. So, we wanted to show evolution this time. Soohyun tried to improve her singing ability, while I sought for the best way to deliver messages through my voice. Soohyun: I listened to all kinds of music including pop, jazz, R&B and trot because I wanted to range over all the singing styles. I practiced again and again. Q. It seems like people always expect great things from you because you showed outstanding musicality even before making an official debut. Don't you feel pressured about it? Chanhyuk: It's true that we feel pressured, but it doesn't mean that we're eager to rank no.1 on various online music charts. The only reason why we want to take the top spot is that we can obtain the right to do our own music from our company by achieving it. Soohyun: We're still confident about our music, but it doesn't mean that we're conceited. I hope we will do better for our next album. Q. Tell me about your new album. It's titled "Puberty," while second part of the album will be released later. 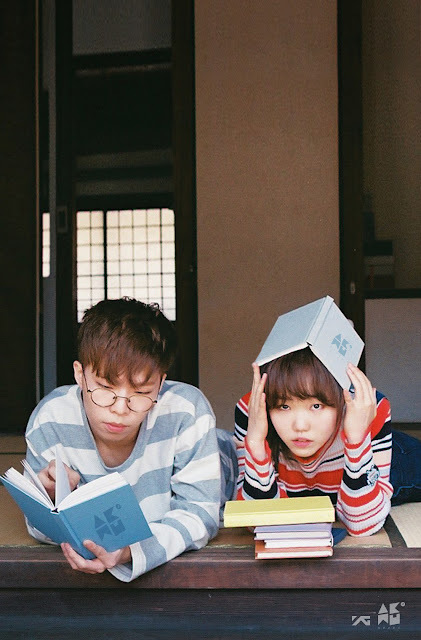 Chanhyuk: Through the first part of the album, we wanted to tell stories about adolescents. Everyone goes through a stormy period of puberty, right? And through the second part of the album, we will tell stories about adults' puberty. Soohyun: You know, the first part of the album was released on my birthday, and it seems like Chanhyuk really hopes that the second part will be released on his birthday, September 12. The second part has a ballad track too. Q. Why did you choose "RE-BYE" and "How people move" as double title tracks? 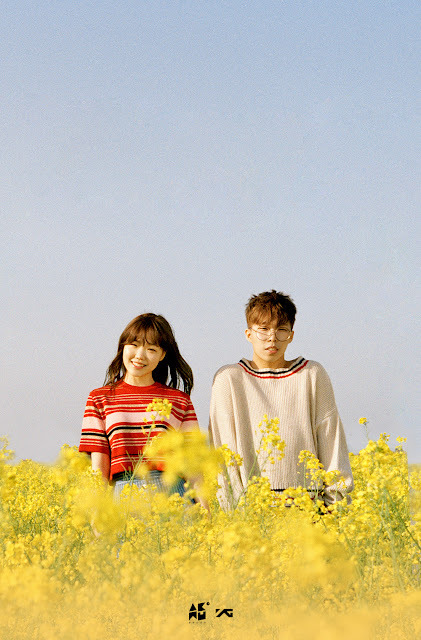 Chanhyuk: Actually, we didn't consider "RE-BYE" as a title track at first, but Yang Hyun Suk really liked the song. On the other hand, we considered "How people move" as a title track from the first. All the YG artists usually perform cheerful and energetic songs at their concerts, but we didn't have such a song. That's why I decided to write "How people move." Q. I love your lyrics of "How people move." What inspires you to create music? Chanhyuk: Frankly speaking, I'm not sure if "inspiration" really exists. Just like many other people, we think about many things, and those are materials for our music. If "inspiration" really exists, I think we're inspired by our everyday life. Q. How was your time of puberty? Soohyun: When Chanhyuk was in his puberty, he didn't talk a lot. Instead, he liked to write something. He wrote novels, poems, and songs. Chanhyuk: Soohyun was in her puberty until quite recently. When I was in my puberty, I had tough times in Mongolia. However, Soohyun was different. She was loved so much and lived in peace and plenty during puberty. Q. Soohyun, I heard that you also write own songs. When will we be able to listen to the songs? Soohyun: I can't give you a specific date, but I'm hard at work on the songs. Actually, I feel very pressured to write good songs because Chanhyuk is well known as a great composer. I’m trying to write unique songs and differentiate my music from Chanhyuk's. Q. Do you have any plans to make a solo debut? Soohyun: I want to release my solo album some time or other. Even though I didn't tell our company yet, I'm recording some solo songs now. Chanhyuk: I have a desire to release my solo album too. However, I think I should practice singing first. Soohyun has more than enough qualities to become a good solo singer. Q. Does YG have restrictions on dating? Don't you want to date? Soohyun: Yang Hyun Suk said OK about Chanhyuk's dating. However, it seems that he has no desire to date someone now. He likes a short woman who looks nice and pretty. She needs to be wise and witty too. Chanhyuk: I don't know why, but there's a restriction on Soohyun's dating. Yang Hyun Suk said she should not date till she becomes an adult. Soohyun likes tall guys. Q. Tell me your plan as a musician. Chanhyuk: We will try all kinds of music including jazz, hip hop and trot. And I hope we will be in our puberty forever because people who are in puberty have a liberal view on life and it helps us create great music.